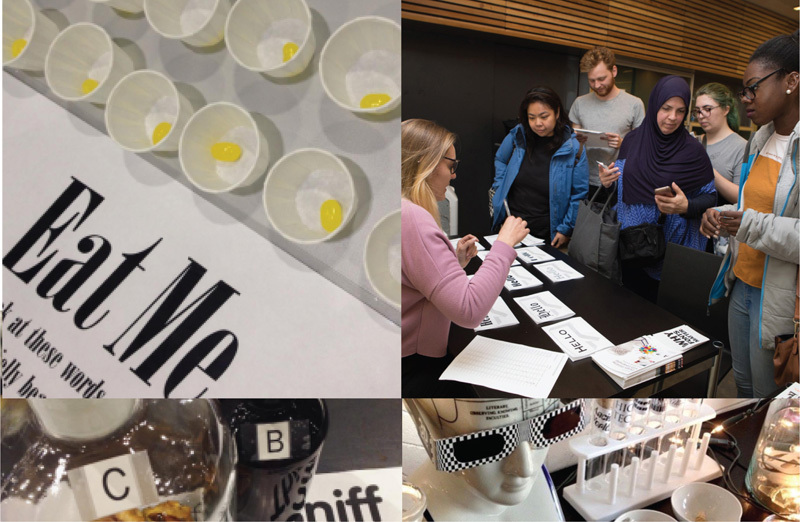 Would you like to volunteer to be on the Type Tasting team for the pop-up event at the V&A for the London Design Festival? I’m looking for a few more brilliant people to join us and to help to make this event a show-stopping one to remember. Roles include helping to build the tasting booths/games in advance; to set up/clear the room on the Saturday and Sunday; somebody to live tweet the event; and enthusiastic people to man the booths/games. If you are available for the weekend of Saturday 19th and Sunday 20th of September, and possibly a couple of days/evenings before the event then please get in touch with me (sarah-at-typetasting.com) and let me know why you would like to be a part of this event? 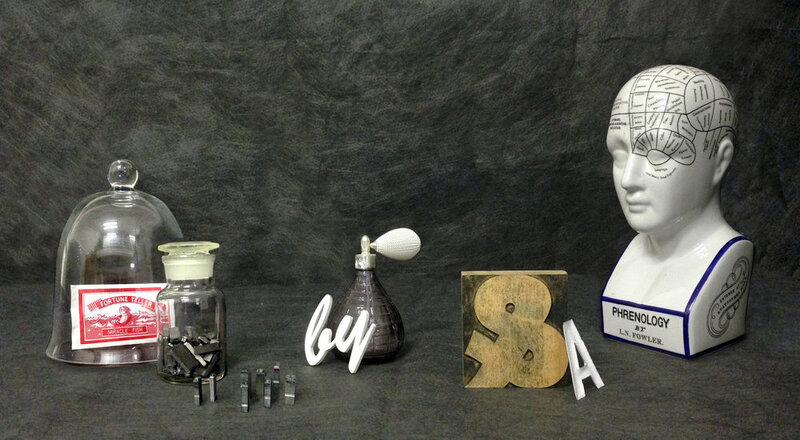 Have you ever wondered what a font might smell or taste like? Or what your choice of font says about your personality? 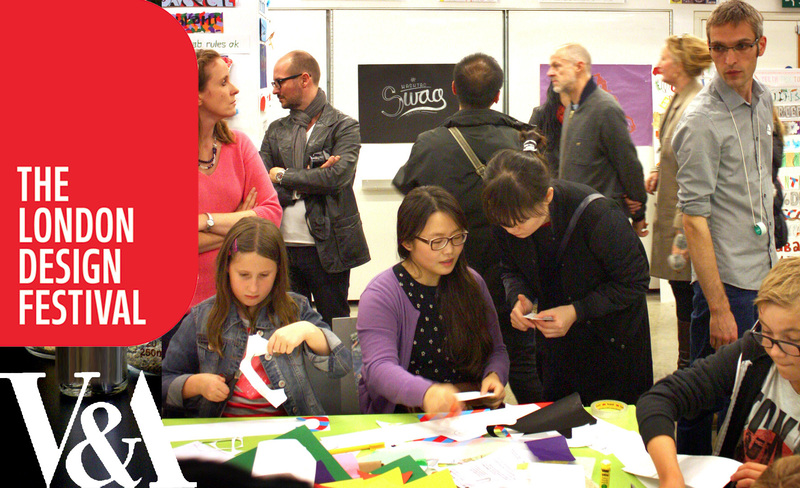 You are invited into a ‘typographic wonderland’ of interactive games and demonstrations involving fonts which are designed to surprise, entertain and intrigue. These explore our role as type consumers and show how type is woven into the rituals of our everyday lives. Each font/typeface has a personality that influences our interpretation of the words we read by evoking our emotions and setting the scene. Main photo Qian Yuan, taken at the Type Tasting event at the V&A for LDF13.